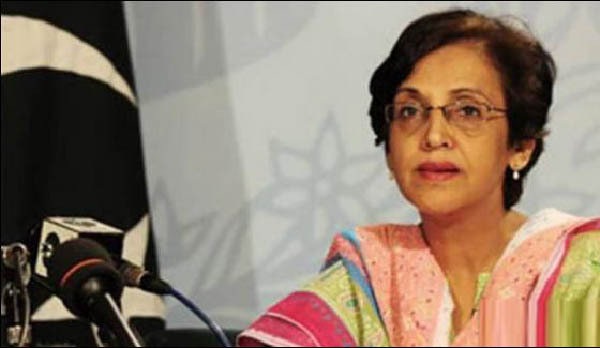 ISLAMABAD, Sep 19 (APP): Ambassador Tehmina Janjua, Permanent Representative of Pakistan to the UN in Geneva, took India to task for sponsoring state-terrorism in Indian Occupied Kashmir (IOK), at the Human Rights Council. Ambassador Janjua underscored that the life and liberty of Kashmiris were governed by draconian laws such as the Armed Forces Special Powers Act that allowed arbitrary detention, searches, seizures, shoot to kill on suspicion, and the use of lethal force, said a message recived here Monday. She said more than 700,000 Indian occupation personnel were imposing, with complete impunity, a reign of terror against innocent civilians, children, women and the elderly. Pakistan’s Permanent Representative deplored that the Chairperson of the Asian Federation Against Involuntary Disappearances, Khurram Parvez, had been stopped from leaving India, last Thursday, to speak at the Council about the reality in IOK. She referred to the open letter by 52 international intellectuals, including Noam Chomsky, which calls for Parvez’ release and stresses that actions against Parvez are symptomatic of the escalated repression by institutions of the State since July 8. India obviously has much to hide, she pointed out. Ambassador Janjua remarked that India has flouted all international human and humanitarian law obligations and was sponsoring terrorism in its neighbouring countries. Pakistan has given evidence to the UNSG and International Community of Indian involvement in terrorist activities inside Pakistan by supporting terrorism in Balochistan and Karachi, she said and added the evidence also included information about the links of Indian intelligence and security agencies with Taliban. Ambassador Janjua strongly emphasized the need for the Human Rights Council to respond to the deteriorating situation in Indian Occupied Kashmir. She said the Commission on Human Rights fact finding mission to IOK would show the world, the reality unfolding every day there. The UN was created with the resolve that “never again” would the world see the repeat of the brutality of the early 20th century. She appealed to the council members to live up to this resolve by taking forthright action to alleviate the plight of the Kashmiri people.